This is the best present that I ever got. 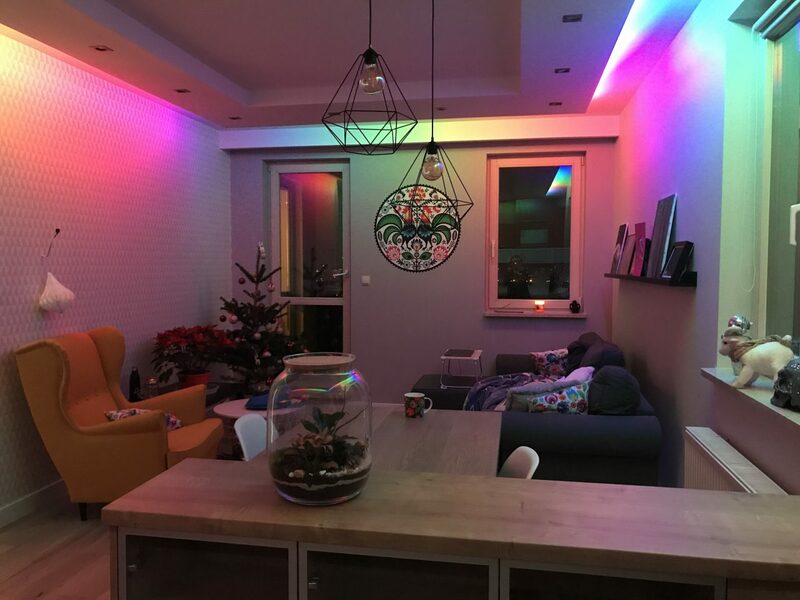 My fiancé installed RGB LED lights under our ceiling and programmed them to animate a rainbow in our living room. I hadn’t yet the patience to set up the development environment and add my own animations, so guess the rainbow is here to stay for now. Here is a short guided tour of the space, filled with Polish folk decor, random artworks of mine & my brother, and Ukrainian folk music, DakhaBrakha. And yes, the Christmas tree is staying with us for another few weeks at least. I can’t see any reason why not.